Ollie is climbing stairs. Like, really fast. 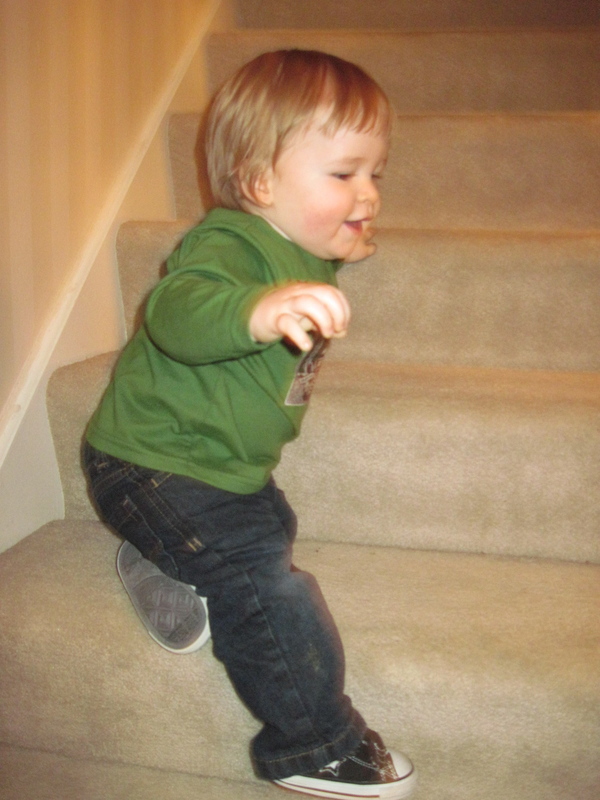 He got going at our friend’s house Sunday, which has nice narrow carpeted stairs unlike our wide, winding staircase (with slits between each step, no less). I turned him loose on our stairs Monday and away he went. The best way I can describe it is climb-sprinting. It’s scary. Now it’s all about showing him how to work his way back down. I’m hoping his low center of gravity works to his advantage.